Gathering is the then up-and-coming younb pianist Fumio Karashima's first leader album for the Three Blind Mice label. With the help of great bassist Isao Suzuki and superb drummer George Otsuka (who was at the time Karashima's employer and band leader), Karashima had a very strong showing on this album, displaying his bouncy sense of swing, sophistication and lyricism. 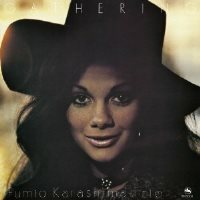 Mostly because of the wonderful content, and partly because of the attractively desinged cover, this album became a big hit and put Karashima's name firmly on the radar screen of Japanese jazz fans. Produced by Takeshi Fujii. Recorded at Epicurus Studio, Tokyo on February 1 and 2, 1977. Blu-spec CD is compatible with all regular CD players. Paper sleeve special limited edition.